Step 1: go to your user profile. You can do so from any of that person’s publications, using the search engine to find him or her or from your private message inbox in these of getting in touch with you through direct message. Step 2: once you get to that person’s profile, you have to press the menu button. The latter can be found on the upper right hand side of the interface with a button that shows through vertical dots. A pop-up window will appear with the different options to choose from. Step 3: there you’ll find the Block option. Press it to block that user and then, if you’re totally sure, press the confirmation that will appear shortly after. Blocking is bidirectional. In other words, on the one hand, you won’t see any of that user’s publications or any other activity but that person won’t be able to see anything you do either. In any case, you should know that you can undo this action whenever you want by unblocking that account if you change your mind. You might want to block someone because you simply can’t stand that person anymore but if things are more serious than that (harassment, threats, insults or any other unpleasant behavior), you can also Report that user. 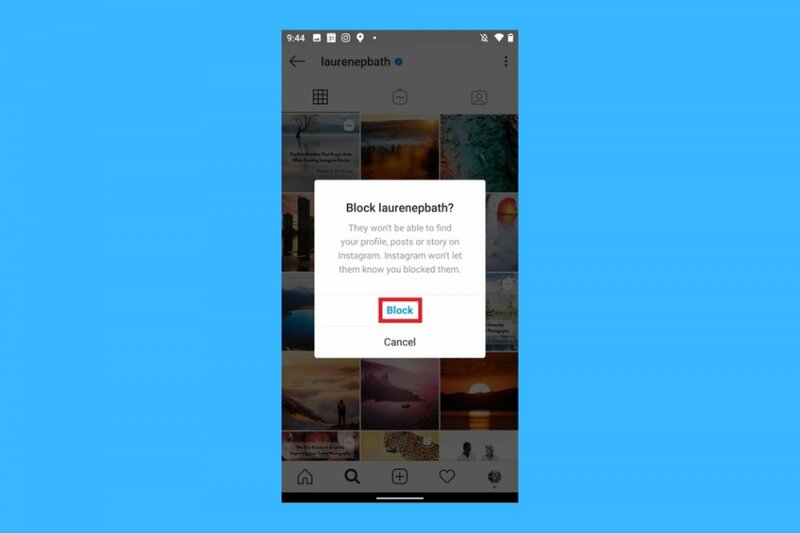 That means that Instagram will become aware of that person’s bad behavior which may be inappropriate regarding the rules set by the platform, having his or her account suspended or cautioned. What are Instagram Stories and what are they for? How long do Instagram Stories last? What is Instagram and what's it for?